We welcome new Sponsors who would like to promote their products and increase visibility through Trail Run Events. We have Sponsorship options to meet every budget from product donations to Title Sponsor opportunities. Please send us an email for additional information. You will find our email link at the bottom of this page. ​We are proud to present Tailwind as Official Race Drink for Trail Run Events' Races! Ditch the gels, chews and pills and go all day with just Tailwind. All you need, all day. Really! The only all-in-one race nutrition hand-crafted by athletes who write your name on every bag! Find Tailwind at a Store Near You! Find SaltStick at a Retailer Near You! SaltStick has been formulated to provide electrolytes to help minimize heat stress and muscle cramping due to perspiration. SaltStick products are ideal for athletes, outdoor workers or for use in hot conditions. SaltStick® Caps were developed as a study of scientific literature on electrolyte loss in sweat, highly bioavailable ingredients, and field testing. SaltStick Caps has since become the accepted standard for electrolyte replacement capsules. ​Injinji offers toesocks for men and women for every performance facet of life from casual use to running a marathon. All styles feature Injinji's patented Anatomical Interface System (AIS) technology and seamless design which enable natural restriction free movement from your heel to five toes while eliminating skin on skin contact and preventing blisters between your toes, while moisture wicking fibers provide a comfortable custom fit that is lightweight and breathable. Injinji has been a proud Sponsor of Trail Run Events​ since 2002! ​Moeben Sleeves are UV protected for the outdoor enthusiast! Whether you run marathons, play soccer, golf, or any outdoor activity, including gardening, hiking or bird watching Moeben Sleeves will provide you with comfort and protection from the outdoor environment while it protects you from the sun's harmful rays. Moeben Sleeves will keep you warm when it's cold, since the sleeve fits like a second skin, and will keep you cool when it's hot with it's light fabric. Moeben has been a proud Sponsor of Trail Run Events since 2002! "Homes to Di For is a local, residential, real estate team that specializes in the neighborhoods of Calabasas, Topanga, Malibu, Woodland Hills, The San Fernando Valley and beyond! Diana and Steven support the local running community and have been known to enter obstacle runs with their team of Realtors. They are proud of all Bulldog Ultra runners!!" CW-X Performance Conditioning Wear is a new generation of athletic performance apparel scientifically designed to enhance your body's physical conditioning. CS-X is the leader in producing the world's first truly anatomically-engineered high performance sports apparel. We are proud to have CW-X Wacoal Sports Science as Sponsor since 2002. Welcome to A Runner's Circle! We are a specialty running shop with two locations in Los Angeles. We support our running community every step of the way, from start to finish, whatever your level. We keep you going and never let you give up. We aim to assist in optimizing your running experience through our products, services, partners, people and events. We appreciate A Runner's Circle Sponsorship since 2012. Fleet Feet Sports Encino & Westlake is dedicated to ensuring that runners and walkers of all abilities are fit with proper footwear and technical apparel to meet their individual needs. Whether you are beginning a walking program, training for your first marathon, or are on your feet all day and need some foot relief we can help. Trail Run Events is proud to have Fleet Feet Sports as Sponsor since 2011. Locally owned, independent specialty run shop in Agoura Hills specializes in shoes, apparel, accessories, and expert advice for all your running needs. Stop by the store and meet Bill Duley and the Future Track Team. People from all over the globe are turning to Pickle Juice™ Sport and Extra Strength Pickle Juice™ Shots because they work! The scientifically proven formulation uses Organic ingredients to correct the misfiring neurological transmitters that cause muscle cramps while simultaneously delivering a massive amount of electrolytes (10x that of common sports drinks to aid in hydration. This is a ground up, purpose built sports drink, not some left over pickle brine from the jar. Run With Us Pasadena has always believed that it is essential to have runners helping runners. Our staff has first hand experience with running injuries, training programs for everything from high school cross country to marathon racing, and most importantly, we know shoes! Selecting the proper footwear is the first step in reducing the risk of injury and achieving your exercise and competition goals. Let the expert staff at Run With Us help you take that first step today. Bring your Bulldog proof of registration and get $10 off shoes or 10% off accessories and apparel at Run With Us! ​Get off the beaten track thanks for SALOMON trail-running shoes! Discover a wide selection of technical and stylish running footwear, boasting lightness, grip, protection and durability... Whatever your terrain, SALOMON has the perfect trail-running footwear for you! Innovative hydration belts, packs, handhelds and vests. The journey of the Ultra-Athlete begins with desire, a compelling need to go beyond the last point of return... and then some...and more...and so on, and so on... In a world with the possibility of endless power and potential - You supply the Aspiration, we'll supply the products to keep the perspiration flowing. Blue Dot Apparel was born from an idea that customer service isn't great until it's customized. We all need help in different ways so we work with you to ensure we fit your needs. Blue Dot Apparel is the Premium Affordable Custom Apparel Service. We offer screen printing, embroidery, and direct to garment printing. We know our industry from past to present and we ensure our team is knowledgeable in new techniques and technology from year to year. We're not just a t-shirt company, we're better... we are Blue Dot. Coyote Running offers running coaching and training programs on both road and trail. Based in West Los Angeles, we specialize in non-traditional format for a race of any distance up to a 100 miler (or worse)! The Coyote Runners has been supporting the Bulldog runners at the Tapia Creek Aid Station since 2011! ​Hot pizza, always delivered to your door in 30 minutes or less! Your local store is located at the corner of Las Virgenes and Agoura Roads, just down the street from the Bulldog race course. Domino's Agoura provides hot pizza at the Bulldog finish line each year! "Healthy feet - Better life." Our company's motto says it all. Since our beginning over 30 years ago, Superfeet has consistently and successfully created premium insoles for different types of feet, for different activities and sports. We believe that good overall health starts with healthy feet, and that healthy feet start with our insoles. Superfeet has been a proud Trail Run Events Sponsor since 2005! 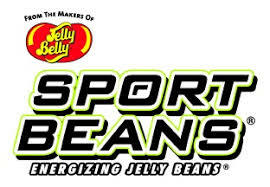 Sport Beans Energizing Jelly Beans keep your body fueled during intense exerciseSport Beans Energizing Jelly Beans are formulated to help fuel the body during intense exercise. Clinically proven to maximize sports performance, each bean is loaded with carbs for fuel, electrolytes to help maintain fluid balance and vitamins to optimize energy release and protect cells against oxidative damage. Flavored with real fruit juices and other natural flavors, they come in a convenient resealable bag that you will love. ​Ultra Ladies are co-producers of Trail Run Events' races. Ventura County Search and Rescue East Valley Team 3 (VCSAR 3) is comprised of highly dedicated and skilled volunteers who are able to respond to wilderness emergencies in Ventura County. VCSAR 3 team members are extensively trained in search techniques, technical rope rescue, tracking, swiftwater rescue, communications, winter operations, urban search and rescue, and search management. For over 25 years, VCSAR Team 3 has participated in wilderness and urban search and rescue operations under the direction of the Ventura County Sheriff Department. 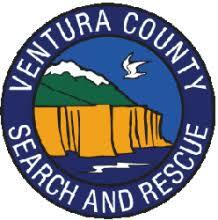 Ventura County S&R are our First Responders as they monitor the runners at Rocky Peak 50/30.